My grandfather’s oldest brother was Jeremiah Stephen O’Connor, who for most of his life went by “J. 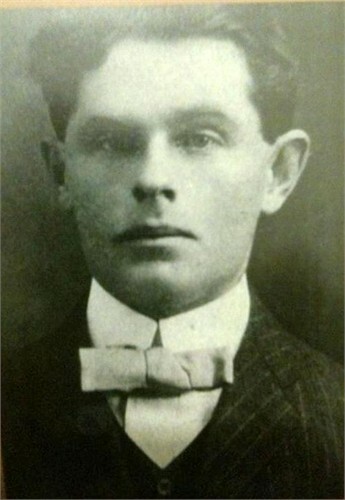 S.” He was the first child of Matthew Patrick O’Connor and Mary Doyle. He was born 2 Dec 1868 in Osgoode, Ontario and baptized on 6 Dec at Notre Dame Cathedral in Ottawa. The details of his youth and travels are not known in any great detail .. for example, how did he end up in Dallas TX in the USA? Family members have i tems from his life as a Catholic priest that indicate he was ordained at age 35, on 10 July 1904, by Dallas TX Bishop Edward Joseph Dunne, in the recently completed Cathedral church in Dallas. His first assignment as a priest, in 1905, was to serve as an assistant in the Cathedral. 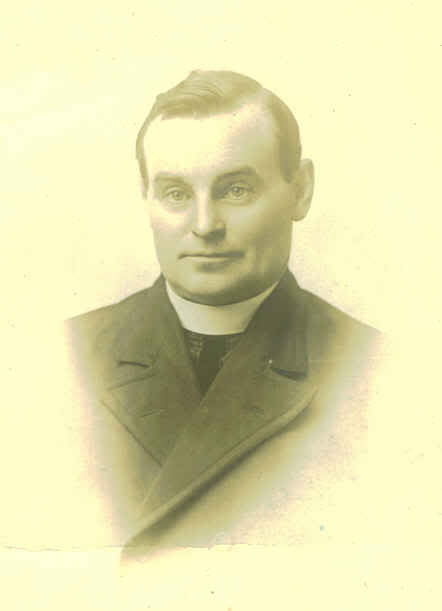 In a few years, the Bishop appointed him (in 1909) as the Administrator of Sacred Heart Cathedral. He was also the bishop’s secretary and the Chancellor (1909-1912). When Bishop Dunne died unexpectedly in 1911, it was another priest in the Chancery offices, Joseph Patrick Lynch, the Vicar General, who was chosen as the next bishop of Dallas … and J.S. disappeared from the Chancery and Dallas. The new bishop named J.S. pastor of Holy Name of Jesus parish, in Fort Worth, TX. He served there as pastor from 1912 to his death in 1942. Eventually, Bishop Lynch named him to the Board of Diocesan Consultors, a sort of privy council, and he served as a member for 20 years — 1922-1942. In 1929, age 61, on the 25th anniversary of his ordination, he was named a monsignor. Throughout his priesthood, J.S. returned home often to Ottawa and performed family baptisms and weddings. In fact, he performed the marriage of my grandfather and grandmother, Daniel Patrick O’Connor and Gertrude Pearl Dolan. J.S. died at St. Joseph’s Hospital, Ft. Worth, TX on 4 Nov 1942, succumbing to cancer of the intestine.